Brian McDermott has been fired by Reading owner Anton Zingarevich after the team lost 2-1 to relegation rivals Aston Villa at the Madejski Stadium. Reading have been disappointing in the Premier League so far this season. They are currently lying in the 19th spot and are facing the tough struggle against the relegation. A club statement said, that all parties felt change was needed and that McDermott had become stale in his post. 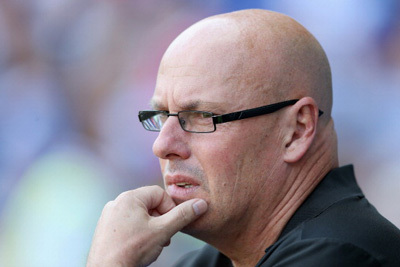 “Reading Football Club has announced today the departure of Manager Brian McDermott. Owner Anton Zingarevich wishes to place on record his thanks to Brian who had achieved great success with the club since taking over as Manager in December 2009. “Brian gained promotion to the Barclays Premier League last year for only the second time in the club’s history thanks to a remarkable run at the end of last season. However, in our current situation, owner Anton Zingarevich felt that a change was necessary. Speculation as to McDermott’s successor at Madejski Stadium is rife, with Paolo Di Canio and Roberto Di Matteo lined as potential replacement.